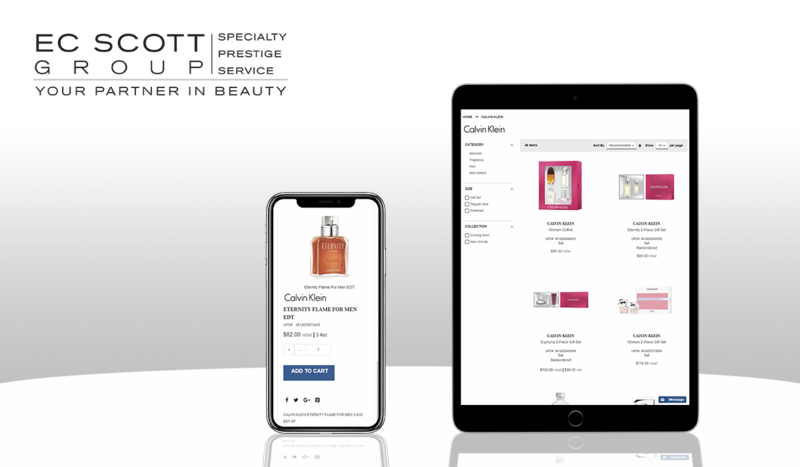 EC Scott Group focuses on building strong partnerships with prestige beauty brands and independent retailers to provide local communities across the nation with access to luxury beauty and wellness products. As part of their initiative to develop a high-quality, fully integrated eCommerce store that would support their growing digital commerce strategy, they turned to SILK Software to craft the optimal solution for their needs. With demonstrated expertise in maximizing the capabilities of Epicor Commerce Connect (ECC) and the Magento platform, the SILK team worked closely alongside EC Scott Group to successfully launch their new eCommerce site. From heavy B2B engagement to a more personalized B2C experience, EC Scott needed an eCommerce site with the flexibility to cater to a wide range of customer interactions. Not only did the site have to be robust enough to support their specific sitemap requirements and desired user workflows, but also thoughtfully designed to establish a strong brand aesthetic. The SILK team was ready to put together a brand-focused, modern site paired with custom homepage content and functionality to meet EC Scott’s requirements. With EC Scott’s focus on building a site that would best support both their B2C and B2B customers, the SILK team created an eStore that not only looked great but had the features and functionality in place to make it easy for customers to quickly find the brands they want to buy. By implementing a floating brand search tab, customers could quickly navigate through the product catalog on a brand by brand basis. Understanding that many of their customers navigate through the catalog and search for products by brand, EC Scott also established a Training and Resources center on the site where their customers could find and download in-depth information regarding each specific brand. The SILK team also presented EC Scott with the ability to take advantage of desired B2B capabilities. This included approval workflows for users buying different brands and well as management at the account level. By the end of the implementation project, EC Scott had the tools necessary to encourage faster product search and equip their customers with the brand information they need online. By utilizing industry leading eCommerce strategies and best practices, facilitating more personalized shopping experiences, and leveraging tight data integration, EC Scott’s newly launched eCommerce site is fully equipped with the features and functionality needed to support the company’s long-term development. After a stable launch, SILK looks forward to seeing EC Scott’s continued growth and success online.